A couple weeks left to win the Lego Adventure Book Volume 2 book. 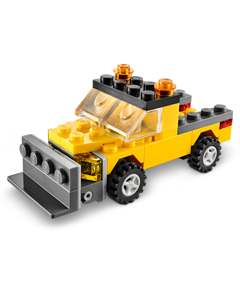 Here's a chance to pickup a free Lego snowplow. The first Tuesday of every month is mini-build day. Just show up at the local store at 5 pm, and, while supplies last, your 6-14 year old can build a Lego snowplow. I SO wish we had a Lego store in our area. I would take my grandkids to every single one. We LOVE Legos!